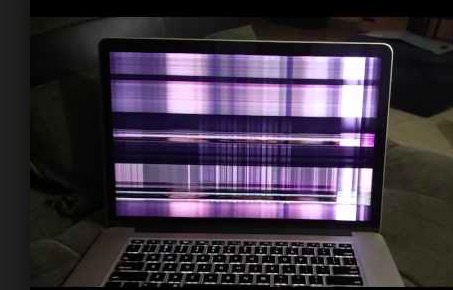 Several MacBook users have reported that their screen displays are flickering. Some users have started that the problem would occur randomly. It seems that both retina and non-retina screens may experience this. It further seems that some screen flickering issues are so severe that it makes it almost impossible to look at the screen. Restart your Mac by going Apple menu >Restart. Update the OS on your Mac. You can do so by opening the App Store on your Mac. Then click Updates. Reset the System Management Controller (SMC). Different Mac models require different steps to do this. Please see this to learn more. Start your Mac, and immediately press the Option, Command, P, and R keys together for several seconds (around 20 seconds). Then release the keys. You Mac will look like it is restarting. On your Mac, go to System Preferences > Energy Saver > and uncheck the option for “Automatic graphics switching” (note that Mac Air models do not have this option, Mac Book Pro models have this option). Then you will see the login screen (now you may release the Shift key) and login your Mac. Now you are in safe mode. Does flickering still happens? If flickering does not happen, restart your Mac regularly (without pressing any keys). After regularly starting your Mac, does flickering come back? if not, that means that safe mode fixed it. Create a user account on your Mac by going to System Preferences > Users & Groups. Then after, login to your computer as this new user. Check to see if flickering occurs? if not, delete the new user. If you are still experiencing the problem, it is highly likely that you are having a hardware problem. You may want to contact Apple or make a genius appointment. THANK YOU! Safe mode followed by PR reboot = fixed. I had lost sound and screen was blinking. Life saver. Thank you sooooo much. In my case it was either Safari or an Update as I did both before testing. The others didn’t seem to work for me. I was plagued by the screen flashing problem on a new 2018 MacBook Pro running OSX Mojave 10.14.3 with a Vega 16 graphics card. My eyesight is not so good so I’d previously scaled to 1440×900. By going to System Preferences / Display and choosing Default for Display the issue has disappeared. Great stuff. NVRAM seems to have worked. Thanks! Had this problem too and finally found the solution. Some MacBook Pro’s have dual graphics cards. Mac OS switches between them depending on what kind of work you are doing, and by switching cards it saves batteries. By turning this feature off the glitching stopped. go to ‘System Settings’ and select ‘Energy Savings’. There you’ll find the checkbox, “Automatic Graphics Switching”, which is turned on by default. Uncheck the tickbox and the flickering stops. I removed Firefox and unchecked the “Automatically adjust brightness” box under display in system preferences. I did not have the “automatic graphics” button you spoke of in the energy saver section. As soon as I unchecked the auto adjust brightness the flickering went away. But I would say .. can you put the safe mode restart first. looks like that did the magic.